We’re going to kick off football with a meatball. A meatball slider that is. 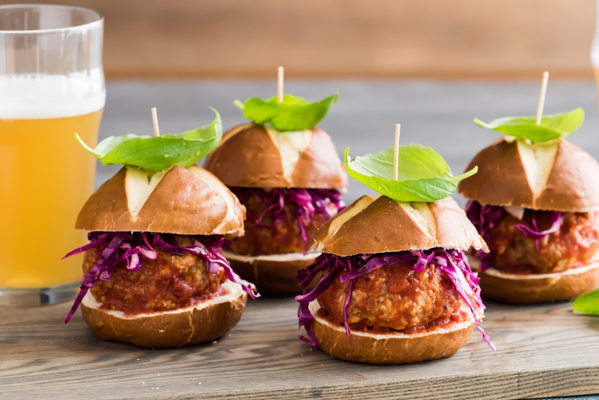 Not just any ordinary meatball slider. Oh no, this one is simply sophisticated and is going to knock the football pants off all your friends and family.